Mastering: Made by CGB @ Dubplates and Mastering Berlin. Artwork: Suka Off. ©2015 All Rights Reserved. 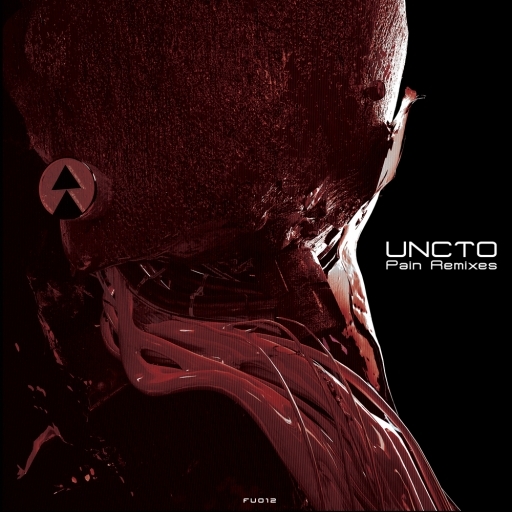 Uncto’s seminal 2013 release Pain was an uncompromising exercise in rhythmical brutality amidst a conflux of themes of suffering, industry, man, and machine. The record now sees itself reinterpreted and reimagined under the auspices of some of the scene’s most eminent and accomplished forerunners in what is perhaps, as it arrives on an opulent red double-vinyl format, the label’s most ambitious addition to its catalog to date. Long-time trailblazers Exium first take on ‘Dirty Minds’ as they apply their unequalled peak-time treatment. While retaining the driving force of the original, the Spanish duo transmute its somber sense of narrative into a singular and infective pattern that unrelentingly maintains its intensity throughout. In contrast, Frenchman Mondkopf’s reconstruction is a radical departure from its progenitor, almost as if the merciless titular oppressor (‘Schinder’) has been injected with an empathogenic truth serum and made to face the toll of his deeds. Serving as his final penance, the resultant insuppressible melodic radiance gushes to the fore as powerfully as his remorse and tears. 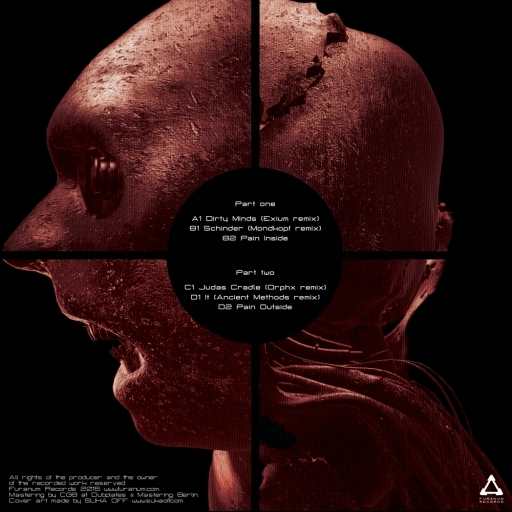 Continuing on the second record, Canadians Orphx draw upon the immense and unwieldy cyclicality of ‘Judas Cradle’ as they deconstruct the torture device into a prolonged yet unfaltering dirge. Harnessing the raw power of the original, they adroitly fuel and layer the modular solemn synths of the drawn-out nine minute epic. Finally, the unequivocal master of industrial cannonry, Ancient Methods (DE), takes on and reins in the unyielding beast of ‘It,’ leaving the monster not only tamed but fully subjugated to his will. Now capable of executing the most inscrutable order, itsees itself violently degenerated to the barest of elements and recombined anew, with the cadence of its frame shifted and staggered to the striding rhythm of a being more machine than flesh. Providing solace and closure are Uncto themselves, as they complement the compositions with two droning interludes.